The field of clinical neural therapy has grown and adapted over the past several decades with the advent of a wide variety of neural feedback methodologies and devices. Professionals new to the training and experience of doing neurofeedback therapy are being confronted with the often difficult task of increasing their general knowledge of instrumentation, neurophysiology, quantitative electrophysiology, and methods of integrating with other forms of health services. Currently, while there are basic standards appropriate for the practicing clinician using various neural feedback devices and protocols, the decision-making of what specific protocols to use with a presenting case and how and when to adjust those protocols can vary widely in clinical practice. This presentation is intended to provide some basic tenants to keep in mind which can be helpful in validating the selection of protocols to use initially when treating a patient and considerations deciding when to adjust or terminate therapeutic training. Case illustrations for both pediatric and adult clinical conditions will be provided. 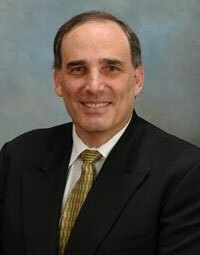 Dr. Cantor received his Bachelors Degree with Distinction in Psychology from the University of Connecticut. He went on to get his Masters and Doctorates in Psychology at SUNY, Stony Brook. He attained a post-doctoral Masters Degree in Clinical Psychopharmacology from Farleigh Dickinson University. He is board certified in qEEG and in neurofeedback. He is a former President and Executive Council Member of the EEG and Clinical Neuroscience Society, and is a Fellow in the National Academy of Neuropsychology. He is currently licensed as a psychologist in the States of Georgia, Maryland, and Washington, D.C. He is currently a member of the EEG and Clinical Neuroscience Society (ECNS), International Society for Neurofeedback and Research (ISNR), Association of Applied Psychophysiology and Biofeedback (AAPB), the International Organization of Psychophysiology (IOP), National Academy of Neuropsychology (NAN), American Psychological Association (APA), and the Georgia Psychological Association (GPA). Adrian Van Deusen is founder and operator of ITALLIS Consciousness Technologies and of the Brazilian Biofeedback Association. He has a 20+ year history with practice in Neurofeedback. He first trained as an intern in one of the sites overseen by the Lubar and Monastra study on the T/B ratio in ADD, 1995-1997. Since, he has professionally developed and supported research designs across various technical platforms for doctoral and master level students. Since 2010, he also been partnering with Doctors in the academic community to speak and to publish his own work internationally on the nHEG application and on novel EEG clinical research tools. Adrian is a BCIA Neurofeedback Mentor and maintains a Portuguese Language BCIA Neurofeedback online course. In 2014, he was hired by BrainDx, LLC in the ongoing role of Operations Officer. He continues in the present role of General Secretary of the ABBIO (Brazilian Biofeedback Association).